- For Epoxy-, polyester- und vinylester resins. - Useable up to 60 °C. A blend of hydrocarbon and microcrystalline waxes. For high-gloss surfaces. Ideal for smooth and sealed surfaces e.g. on GRP moulds. Polishing possible after a drying time of approx. 1-2 minutes. Could be used in conjunction with film release agent PVA. Available in green and colourless. It is particularly recommended for use on moulds where standard silicone waxes hinder post-finishing operations or as a primer coat prior to the application of PARTALL® Coverall Film. PARTALL® Paste #2 may also be employed as an economical edge wax on larger molds, and is used to seal rough wood moulds or plugs for casting composites, cements and grouts. 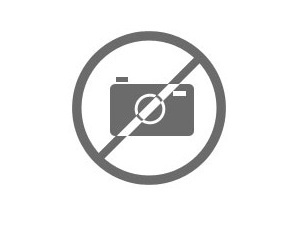 The maximum processing temperature is 60 °C. Before application of PARTALL® Paste #2 porous molds (i.e., plaster or wood) should first be cleaned and sealed. Composites grade sealers and fairing compounds (body filler) are recommended but a good surface on plaster or wood may be obtained with automobile type primer-sealers and lacquers. 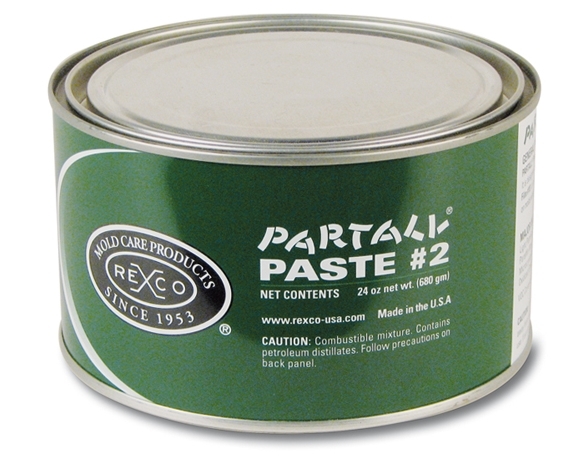 For non-cosmetic parts with rough wood molds or plugs a number of coats of PARTALL® Paste #2 should adequately seal the surface. Using a clean and dry cotton cloth, apply a small amount of Partall® Paste #2 to mould surface in a thin even coat. 0.5 - 1.0 g is enough for about one square yard (1m²). Turn over cloth and begin buffing immediately by hand (within one minute after application). On larger moulds or plugs work on smaller sections at a time or have second operator follow to polish. Power buffer equipped with a terry cloth or lamb’s wool pad will reduce labor time on larger moulds. Surface should be buffed to a glossy finish. Complete surface coverage is more important than a thick film of wax. In order to ensure complete coverage, repeat application and polishing process at least 3 times for initializing new or reconditioned moulds or plugs. Alternate direction of application of each coatimportant (i.e., 0°, 90°, circular, etc.). Polish each coat before applying the next.